Click on Locations in the left-side menu. Select the Location for which you want to create a Consignment Report. Click on the gray Reports button and select Consignment Report from the drop-down menu. Fill out the information you’d like to include and click Generate Report. You will be redirected to Reports. Click on Consignment Report or the Download arrow to open a PDF. 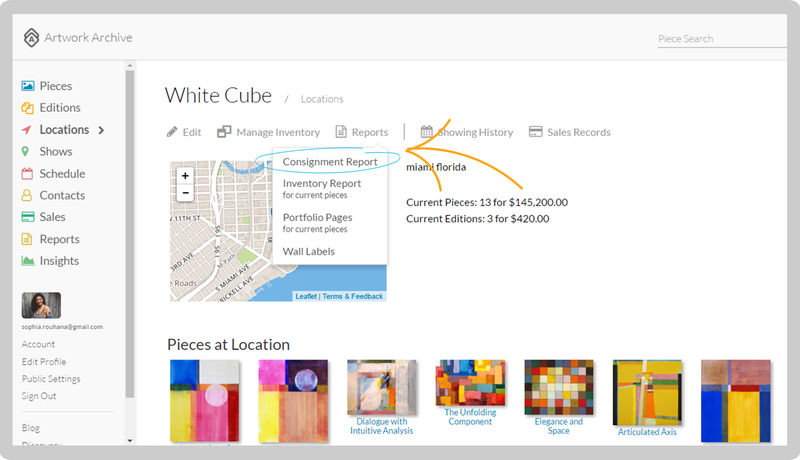 Then, you can provide your galleries with a comprehensive, polished report, so you both know the information associated with the consignment. NOTE: Consignment reports are only available once you have assigned inventory to a location. 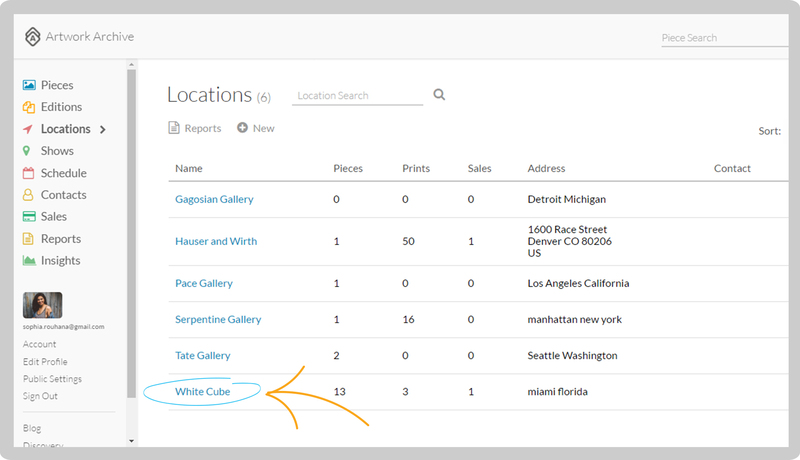 If you want a Location Contact associated with a Consignment Report, click on Contacts in the left-side menu. Then click Edit above the Contact. There you can set their Location Relation by selecting the Location from the drop down menu.